Happy Halloween from FR Press! To celebrate our favorite day of the year we have marked down the entire line of FR Press products by 50%! The sale lasts for one day only so don’t miss out! This includes the brand new Haunted: 11 Tales of Ghostly Horror anthology that features spooky stories from Chuck Wendig, Jess Hartley, Rich Dansky, Jason Blair, Bill Bodden, Nancy Greene and more! 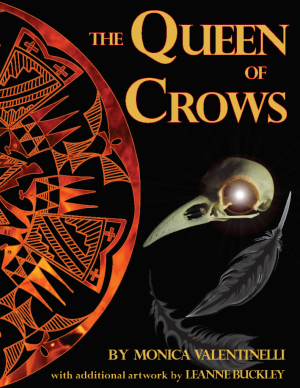 Also included in this sale is The Queen of Crows, Instant Antagonist: Creepy Cottontail and more! Check out the complete line of FR Press eBooks and get half off for Halloween! Haunted: Black Friday Special Offer! Trick or Treat! 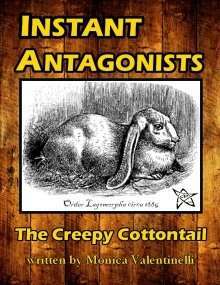 FlamesRising.com Presents our Random Horror Plot Generator!